Web Design and Google Advertising by BreezeMaxWeb an SEO Company. Our clients came to us with a very specific direction for the flooring at their new modern home. They wanted a clean modern look but it needed to be warm and inviting. The flooring, provided by Trends & Trades, achieved our design specifications and met with the homeowners approval. The incredibly wide and long planks (10” wide by 7’ 3” long) give a sense of luxury to the space. Trends and Trades was also able to provide the stair treads that seamlessly blend the open riser staircase to the rest of the home. The clear grade flooring has no knots which further enhances the luxury of the space. I was on the site yesterday with the contractor and we saw the wood that has arrived. We all think it is GORGEOUS! Thank you for all your patience throughout this long, drawn-out process. Hi Luis – just a quick note to let you know that all went well with the pick-up of hardwood. The wood is beautiful – thank you and please extend my thanks to Wide Plank. I will be installing over the next month and will be sure to send photos of the finished project. Phil and I were away for a few days and we just dropped by the house to see the stair treads and nosings. We are speechless, they are simply spectacular. The stair treads are not installed of course, as we are waiting until the very last moment, but we can visualize how incredibly gorgeous they are going to look on the staircase. Wide Plank Hardwood craftsmen outdid themselves on those treads, I can hardly believe that those beautiful pieces of wood will be in our home for us to enjoy every day. Everything from Wide Plank has met and exceeded our expectations. Please pass along our congratulations and sincere gratitude to the people who designed and crafted our floor boards, stair treads and nosings. We can’t wait to finish the reno, take up the paper on our hardwood floor and enjoy the beauty of our space. We will have you over as soon as we can so you can see how awesome our floor looks. We will take pictures and send them as well. We plan on having a housewarming party in late June, and are inviting all of the contractors, suppliers and craftsmen that helped us build our dream home. I hope you will be able to join us. If for any reason staff from Wide Plank in Chilliwack are in the area, they are welcome to join us as well! Hope you are feeling better, looking forward to seeing you. Thanks for all your professional help and support during this process. We are simply thrilled and awed by our beautiful floors and stair treads. I’ll be at the show tonight and I’ll drop by to tell you how awesome our floors look! Trends & Trades attention to detail and personalised care made all the difference to my project. It also helps that they care beautiful products! We would like to thank you properly for the role you played in providing our fabulous wide-plank oiled walnut floors. They are magnificent! They look amazing, they are easy to maintain, they are SOLID with nary a squeak, and not a soul walks into our home without commenting on their rare beauty. The final piece, of course, is knowing how to arrange and install all those incredible lengths of wood for maximum effect. 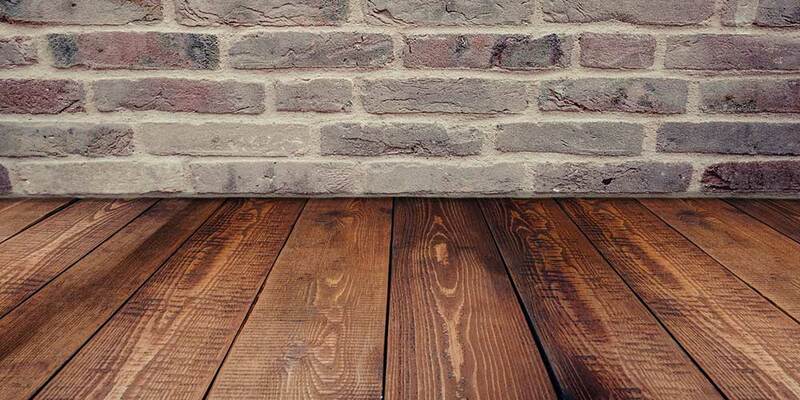 It is certainly an art choosing which plank goes where to create a masterpiece of a floor. We were very pleased with your service and attention to detail. Thank you, Luis, for helping it all turn out even better than we had hoped. The concept of this renovation was to create a clean modern interior had both character and visual interest. The client loved European spaces where there is that contrast of an old shell with a modern interior, so we used this as our inspiration. As the rest of the finishes were different variations of white, the floors became the most important finish to find. We looked everywhere in the city for the perfect herringbone floor that would fit into our narrow criteria. Trends and Trades had the most options and flexibility in color, finish and scale. The floors created this beautiful matt patina, which really anchors the space and gives us the gorgeous effect we were looking for. Space looked great, and the clients love it! Thanks it take a vifiage, and our product suppliers and vendors are part of that village. Working with Luis from Trends & Trades was a pleasure. He was responsive and easy to work with and I couldnt be happier with the wood floor it installed perfectly and looks beautiful! When we were searching for the right flooring for our new offices, we knew we wanted a flooring with a distinctive look. The oiled hardwood we installed from Wide Plank Hardwood exceeded our expectations. We now have a beautiful hardwood that set the tone for our entire renovation. Luis Carvalho from Trends and Trades has overseen the entire process, from selecting to purchasing and to giving us helpful advice to ensure that the floors are maintained correctly. He has been a pleasure to work with and provide us with ongoing advice to make sure that our floors remain in pristine condition. It was a pleasure working with you and your team. Your service has been absolutely wonderful. I would be more than happy to provide references if ever in need . Luis, the work that you have done at the Cambridge, has been terrific. And the carpeting, in the four different designs, just looks fantastic. Including the recently laid Navy blue in the locker room. Just wanted to SEND you this one final note of thanks and congratulations. It really looks fantastic, and the compliments that we are receiving from the members, is all the proof we need. “Trends and Trades has provided excellent service and expertise. Trends & Trades provided great attention and detailed follow up on all the Hardwood and Stone flooring we ordered. The quality of all the products provided was very impressive. 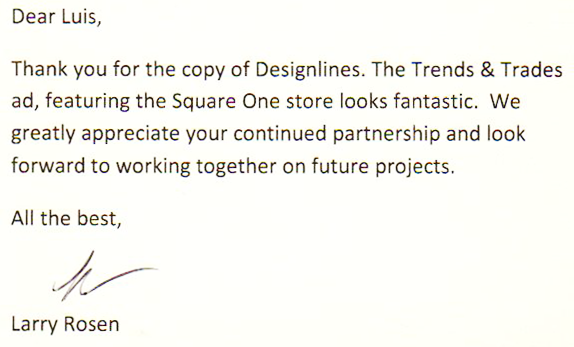 I enjoyed working with such a professional company as Trends & Trades. Luis put great effort to provide all the samples we required in a timely manner. Look forward to our next project together. Design Manager Harry Rosen Inc.